Walking into this house is like walking into a new home. New kitchen, updated bathrooms, beautiful refinished hardwood floors, new carpeting, new paint, newly textured walls, new bedroom and closet doors, vinyl windows, new patio slab, new exterior siding, roof has all new shingles, new gutters, new electrical panel in garage and some new wiring. There is a family room on the main level which is rare for this area. 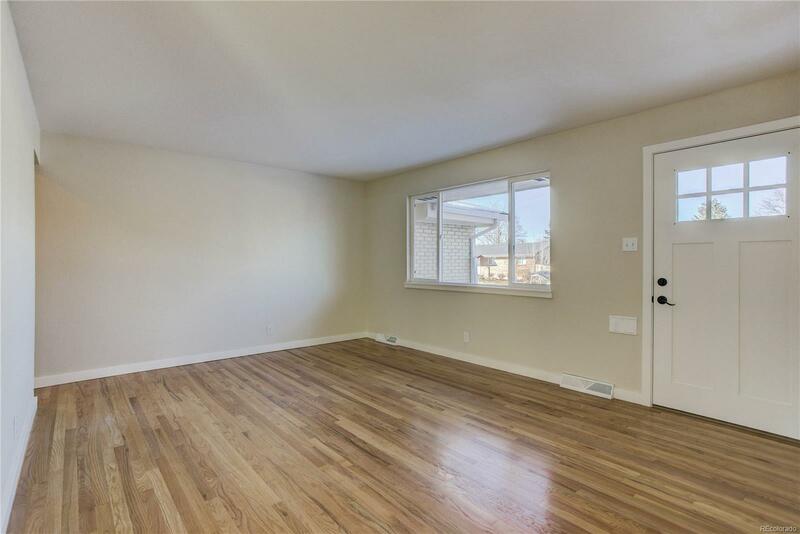 The basement has been finished with a huge family room(family room has new studs, drywall and wiring), a bedroom with an egress window(rare in this area), a storage room and a utility room. The basement family room and bedroom have new carpet as well as new paint, newly textured walls and new doors. Permits for work done were pulled and inspections passed. Verify with the city. There is an evaporative cooler (swamp cooler) available to be attached. Elementary school is a block away. High school is a few blocks away. Easy access to I-25 and Highway 36 to Boulder.